Whenever any kind of sales is involved, pricing will inevitably play an integral role in your business. Because consumers are always on the lookout for a deal, companies have come to develop a number of pricing strategies to convince prospective customers to take a chance on their products and/or services. Yet, because so much information is readily available to consumers, it’s more difficult than ever for companies to determine what pricing techniques are best suited for their niche. In today’s marketplace, businesses can no longer afford to play it safe. It’s time for pricing to get experimental. To the untrained eye, pricing is nothing more than a means to an end, a number designed to find that sweet spot between turning a profit and enticing a willing consumer. While that general description still applies to pricing, there’s actually a lot more nuance to the art of pricing than some might expect. The exact structure you use for your business may vary, but by far, the strongest way to identify how to best reach customers is to explore a number of options. Here are just a few of the most tried-and-true pricing experiments you can apply to your business. Shape customer perception by positioning your product’s price as a frame of reference for its value. For example, putting an item next to a more expensive alternative allows the first product to appear like a better deal, thanks to the adjacent “anchor price.” This tool can often direct consumers to the intended purchase anyway. When two similar items are priced too closely to each other, this experience can discourage customers from making a purchase at all. In order to highlight a given deal and limit the obstacles to securing a sale, be sure to differentiate between your products. Ultimately, it makes both options look more attractive. Sometimes, a single item simply doesn’t present enough incentive for consumers to part with their hard-earned cash. However, even if the price point is remarkably close to the aggregate price, a bundle of two or more items can overcome buyer’s hesitation and create the impression of a value-added purchase. Pricing experiments in general are a good way to explore new territory, but one specific way to find out which sales pitches — and pricing approaches — are most effective is to set up A/B testing. 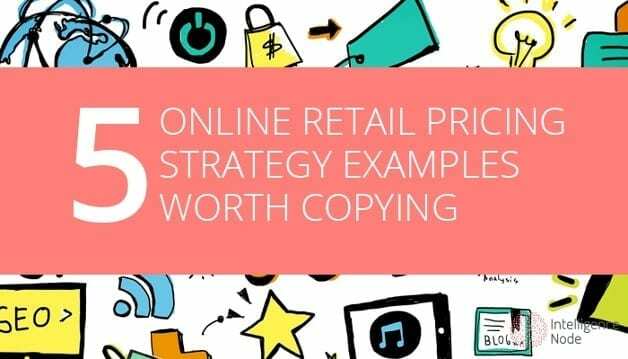 This design allows your system to alternate between two different price points and discover which better connects with customers. Ever notice how most prices tend to end with a “9”? Believe it or not, there’s a marketing precedent for that. It’s human nature to perceive $14.99 as a better deal than $15.00 despite it’s being one of the oldest tricks in the book. This is certainly a tactic that works more often than not. As with many other elements of marketing your business, presentation makes a huge difference. Often, something as small as whether or not your price listings feature dollar signs can affect your sales. Given your business, it might be less impactful, but there’s no harm in investigating whether a small tweak can help. Since every business — and, by extension, its customer base — has its own set of needs, it may take some trial and error for your company to discover a pricing strategy that perfectly meshes with your business model. Even then, the need to innovate and continue building towards a brighter future for your business never truly dissipates. The secret to long-term success is to never be afraid to adjust with the times and customers’ changing needs. Pricing experiments can give you the opportunity to gain critical knowledge about how your company operates, and the potential reward is far too promising to ignore.